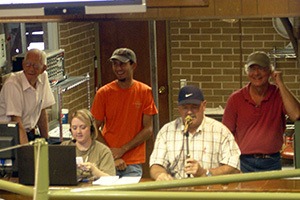 Cullman Stockyard is a fourth-generation family owned and operated business specializing in livestock marketing. The Parrish family bought an existing market in 1954 and from the beginning instilled a belief of honesty and integrity into their business practices. In 1969, Cullman Stockyard moved to our current location and have made several facility upgrades and additions over the years. The Parrish family works to maintain a professional auction for the benefit of their customers. 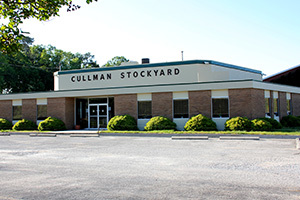 Cullman Stockyard sits on 20 acres right off Highway 157 on County Road 1339. The barn is an 80,000 square foot facility, under a high roof, with additional outside lots available. The barn was designed to make the handling of livestock as stress-free as possible. With a drive-through to off-load and load livestock, these logistics are very convenient for our sellers and buyers. We also have three dock chutes available to accommodate semis. Hay pens are also available and there are water troughs throughout the barn. Providing a professional facility is very important to the Parrish family, and they take great pride in providing their customers one of the cleanest livestock facilities in the United States.